Receive a video simulation of how your teeth will shift, changes and adjustments can be made if desired. - Our staff will guide and monitor you through the whole straightening process. Unlimited next set appointments included in this package, no extra fees required. The doctor will then develop your virtual treatment plan. You will receive an email with a video simulation of your treatment plan attached that you have a week to review, if you are unsatisfied we can make changes and adjustments. If you approve the video we will order your aligners. Once your case arrives, we will schedule you an appointment to have buttons placed, perform Interproximal Reduction (IPR), if required, and give you aligners to wear. During treatment we will schedule "next set appointments" to monitor your progress, give you more sets of aligners, and advise you on your treatment as well as do maintenance upkeep, checkups, and repairs if needed. Once your treatment is complete we will remove your buttons and give you a gift to celebrate. Thanks to the AI powered app Dental Monitoring we are able to monitor and advise you on your treatment no matter where you are in the world. We've completed over 2100 cases of Invisalign®, we have the experience needed to do the job properly. Not sure if Invisalign® is for you? Book your free consultation today and find out. Q: What is the payment structure? At your consultation/record taking appointment, we will advise you on the variety of payment plans we have available to meet your needs. Q: What if at the end I still need more tweaking? A: Not a problem! We can do a revision at an additional cost of $290. Q: Can I accelerate my treatment? A: Yes, we can perform "Propel", an acceleration procedure for $395 which will shorten your treatment. Additionally, if you undergo acceleration, your first revision (if required) will be discounted at 50%. Q: What if I notice that my trays not fitting well? A: We will be monitoring you regularily in office, however in the unlikely situation that issues may arise you can contact our office and we will schedule you in for an examination to assess and correct the issue. Q: How much do long-term retainers cost? A: Fixed wires are $218 per arch and the set of 4 retainers are $595. 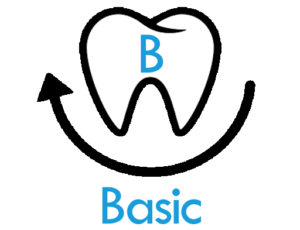 Q: Is Basic © covered by insurance? Yes, if you have orthodontic coverage. Q: How can I make sure my results will last? A: We encourage you to see us once a year for ortho-recalls, if necessary we will tweak your retainers and always give you a complimentary whitening at the end of your appointment. Q: What is the cost of an ortho-recall? Q: Will I be eligible for a 15% discount on all other dental services not covered by dental insurance? A: Yes, our patients receive a discount for any future dental work not covered by insurance. Q: Last of all, will I be included in the üSmile© day celebration?